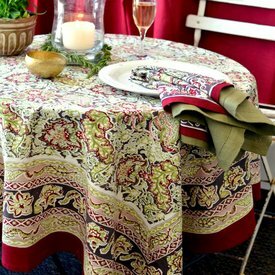 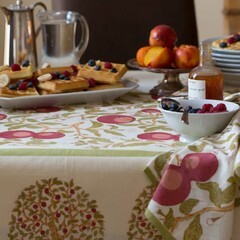 Tablecloths and runners are easy ways to brighten your breakfast nook or dining room for the season. 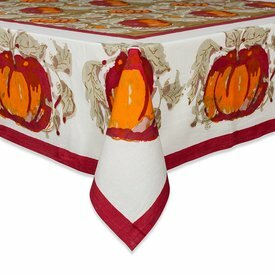 Its rich autumn colors and sumptuous large pumpkins make the Pumpkin Collection a must-have for entertaining guests at your autumn table. 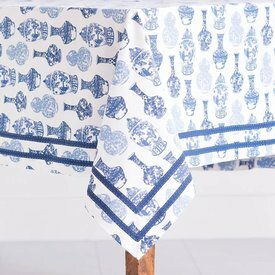 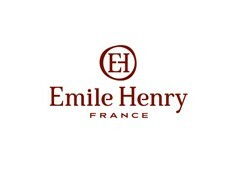 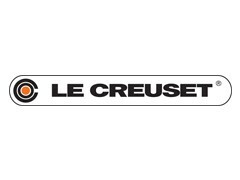 Hand-printed French tablecloths. 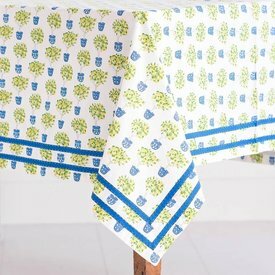 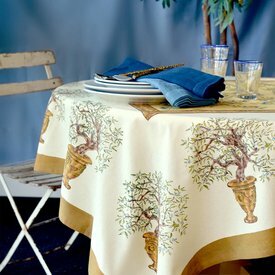 Festive, fun and oh so cheerful, our Lemon Topiary Tablecloth will shower your tabletop in bright yellow and blue. 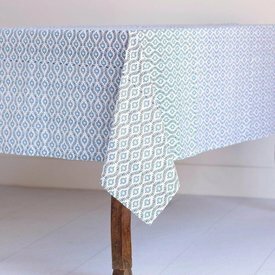 Ginger Jar Tablecloth - 55"x55"
You can’t have too much of a good thing, so covering your table with our much-loved Ginger Jars print is a guaranteed win.